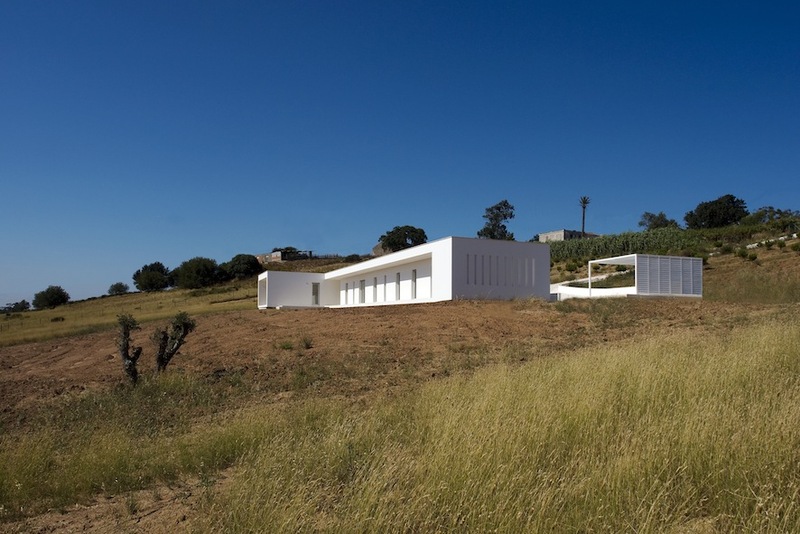 The Architecture office Brito.Rodriguez was the first one to accept our "Projects Wanted" invitation. The office of the Portuguese architect Inês Brito and the American architect Gilberto Rodriguez sent us their MB HOUSE project, located in Óbidos, Portugal. 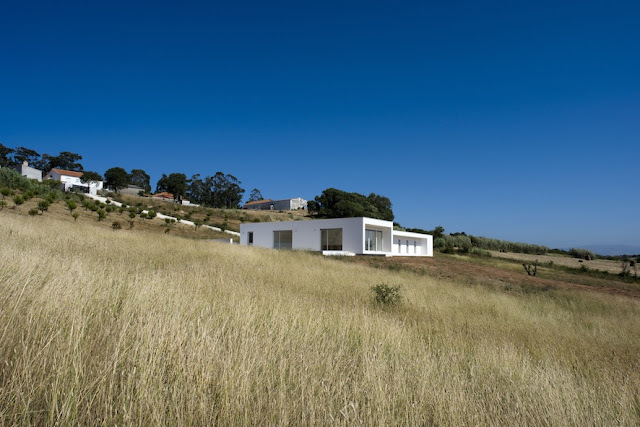 Together with some photos of the project, Brito.Rodriguez sent us the respective descriptive text. Our blog is open to receive projects from Architecture offices all around, it's our pleasure to help spreading new Architecture. 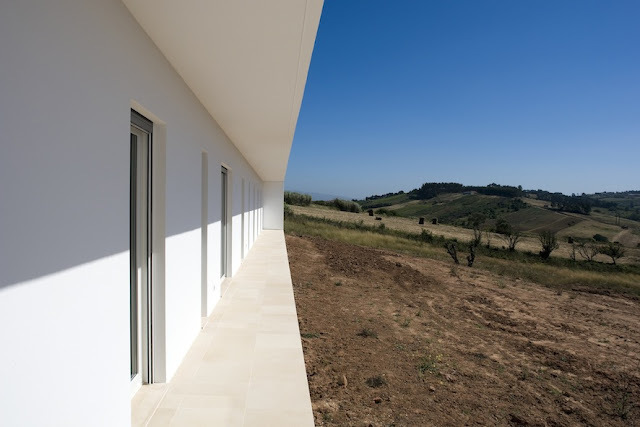 "THE INTERVENTION PROVIDES A SILENT DIALOGUE WITH THE SURROUNDINGS, A SIMPLE EXPRESSION IN A LANDSCAPE CHARACTERIZED BY CONTINUOUS AND STEADY PASTORAL HILLS. THERE ARE SPACES OF INTIMACY, REFLECTION AND CONTEMPLATION DIRECTING THE VIEW OUTWARDS AND BEYOND ITS LIMITS TO EXPERIENCE THE SUBTLE SENSORY IMPRESSIONS OF THE PLACE. THE SITE HAS A DEEP SENSE OF TRANQUILITY, A PLACE WHERE THE AIR IS CLEAN, LIGHT AND GENTLE. AT THIS LOCATION, A HORIZONTAL GESTURE WAS INTRODUCED TO ENHANCE THE LANDSCAPE AND TO EMPHASIZE THE INTRINSIC QUALITIES OF THE ENVIRONMENT. TWO VOLUMES ARTICULATED BY THE MAIN ENTRANCE, REACH THEIR GREATEST EXPRESSIONS IN THE NUANCES OF LIGHT AND SHADOW. THE WHITE VOLUMETRIC COMPOSITION ACCENTUATES ITS LIGHTNESS AND THE RELATIONSHIP IT SEEKS TO ACHIEVE WITH THE SERENE ATMOSPHERE." Brito.Rodriguez is focused on designing cultural buildings, public environments and private houses. The studio arises from the need to deepen their interests, concepts and ideas related to architecture, art and landscape; a natural journey that is marked by the participation in numerous international competitions. From different cultural backgrounds, Inês Martins de Brito (Lisbon) and Gilberto Rodriguez (Texas) have over the years absorbed different influences that complement one another. 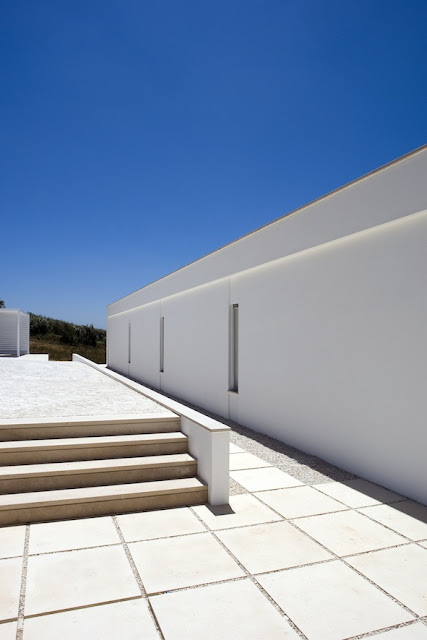 From Lisbon, the studio absorbs the history, materiality, overlapping elements, light and water. From Texas, they receive the influence of the void, subtlety, anonymous architecture integrated into the landscape and the horizontality of spatial continuity. 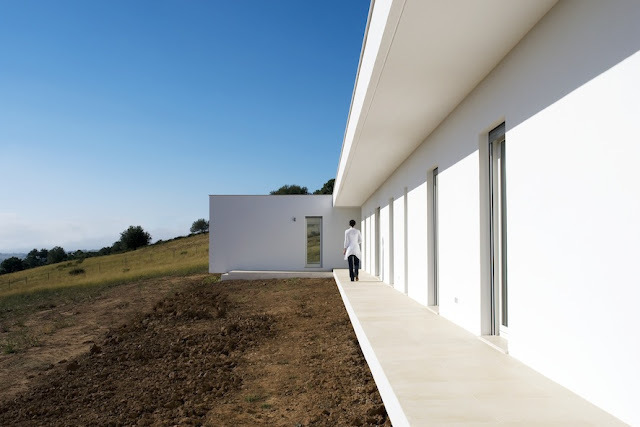 Inês and Gilberto are both architects with a strong international background, their professional paths crossed in Olot, Spain while working at the office of RCR Arquitectes. 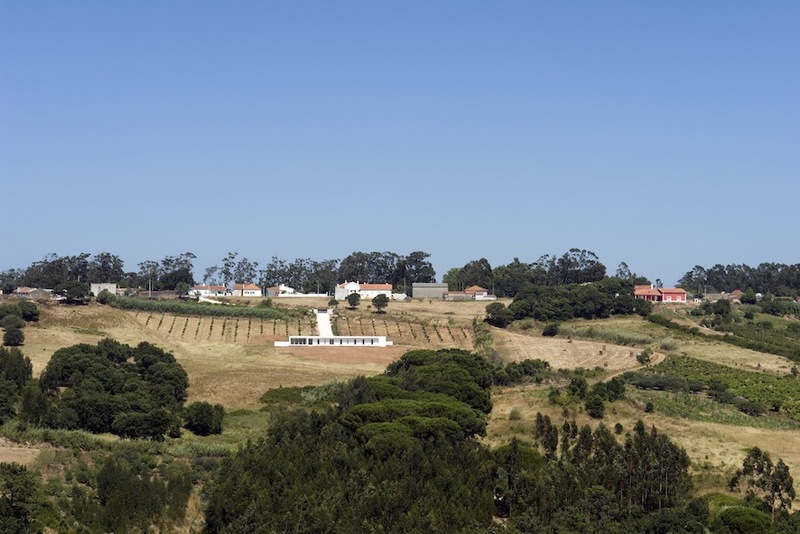 Their work has received international recognition with projects awarded in Mexico, Peru, Portugal and Spain. The studio has also been widely published and exhibited in England, Italy, Spain, Portugal and Peru. Amongst the awarded and published works are the Site Museum, Castle Environment, Lodge Museum, Casa MB and Earth Pavilion. In 2012, Brito.Rodriguez were guest lecturers of ‘Subtle Gestures’ at the “Sapienza” Università di Rome, Italy and were soon selected by the renown publication Wallpaper* for the Architects Directory _ 20 young emerging international architectural practices. 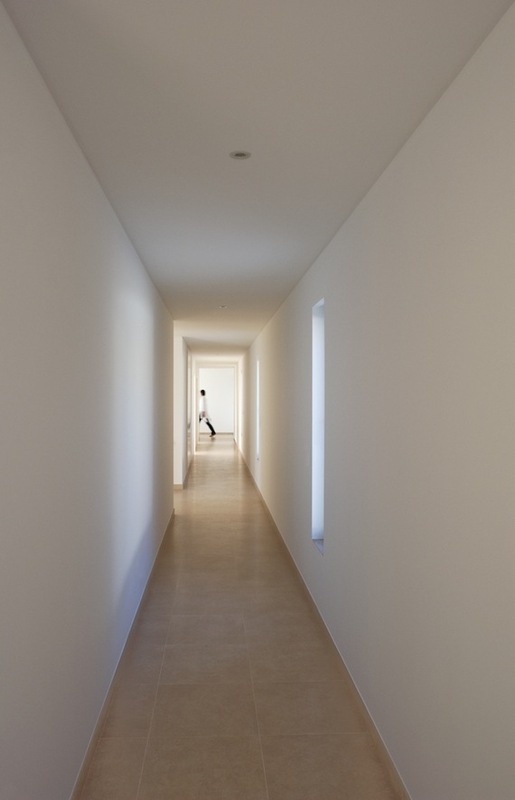 Currently working in Lisboa, they collaborate with a multi-disciplinary team that varies in size relating to the scale and complexity of each project. 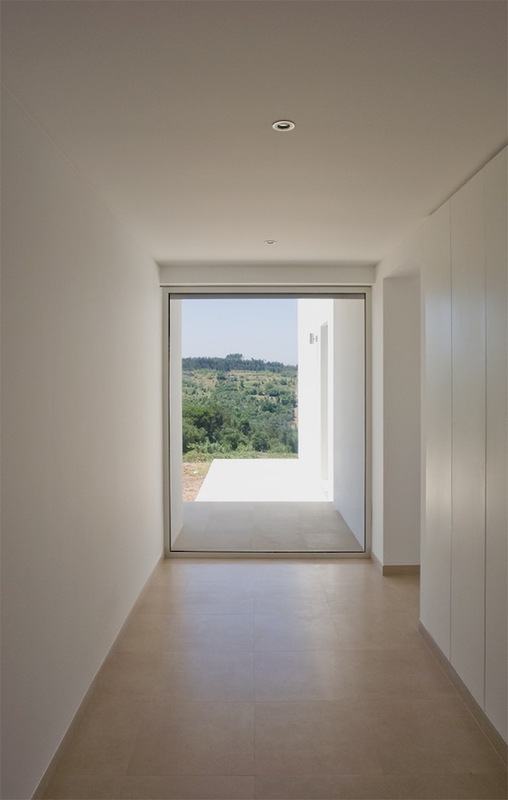 During the development of a project, they focus on the concepts inherent to the identity of a space while interpreting the specific context and conditions of the environment. With a conceptual vision and rigorous approach, the goal is to reach an integrated expression between architecture and landscape. 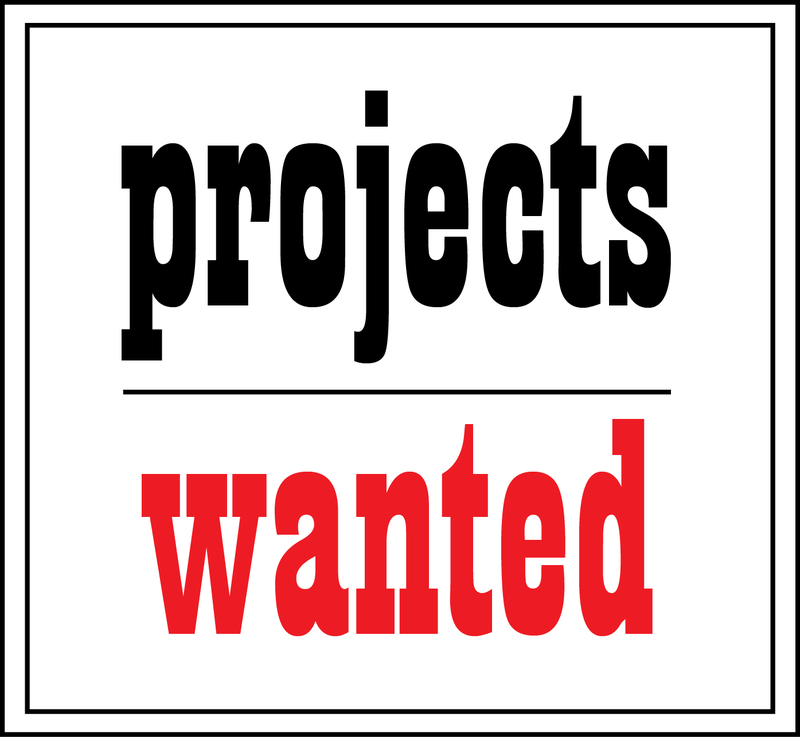 PROJECTS WANTED is a DIMSCALE's initiative to communicate new Architecture from all around the world. 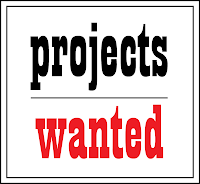 Send us your projects to david.cardoso@dimscale.com. This blog is an open space for new projects in the areas of Architecture, Design, Visual Arts and Innovation. VOID MATTERS is managed by DIMSCALE, a consultancy company that has on Architecture its passion and the foundation of its daily work. 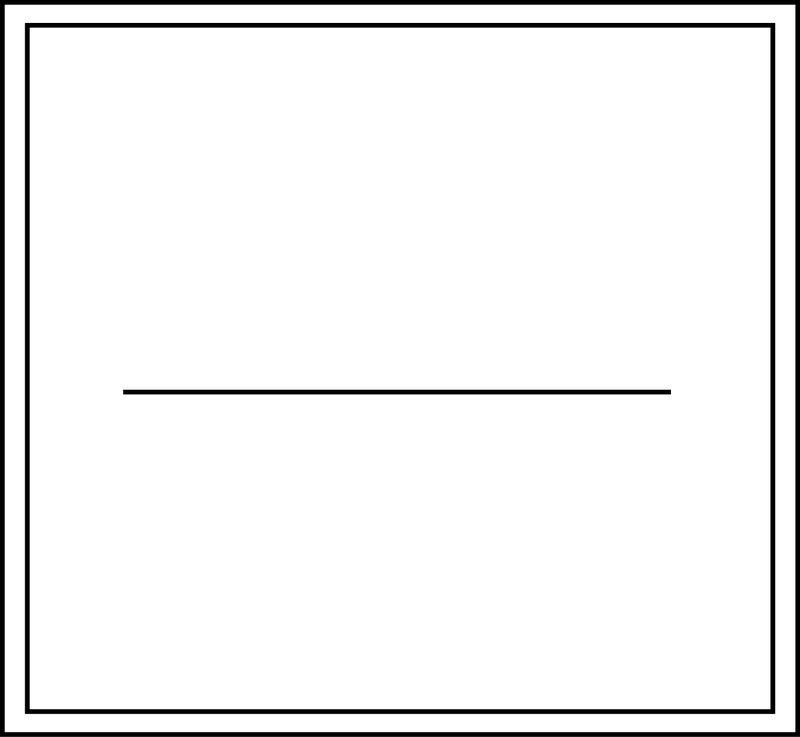 All the projects featured in our blog were not worked directly or indirectly by DIMSCALE, except the ones in which we expressly indicate our collaboration. DIMSCALE at ARX's exhibition "Arquivo/Archive"
We're always looking for new exciting projects within the areas of Architecture, Design, Visual Arts and Innovation.